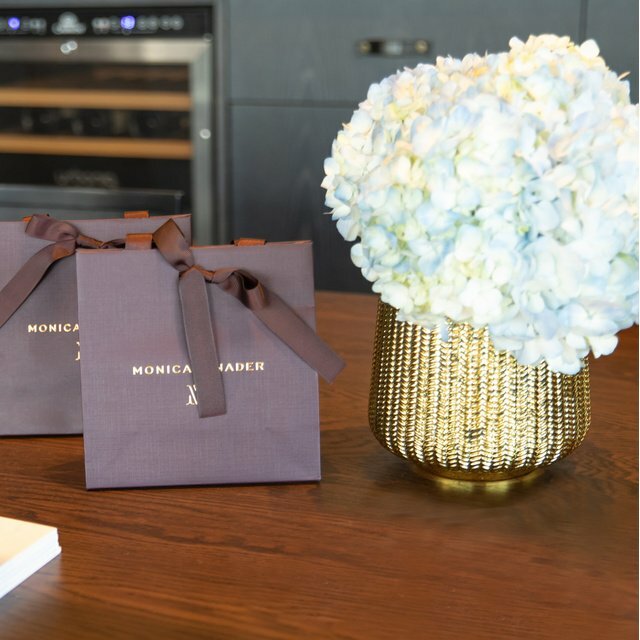 Monica's earliest memories include exploring her mother's extensive jewellery collection and spending hours on end playing dress-up in her closet. 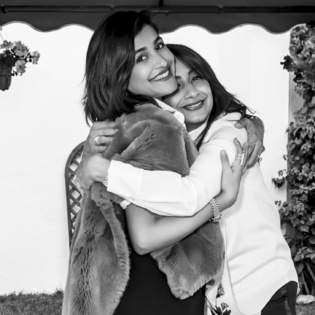 Here, Monica tells us about the sentimental pieces that now live inside her own eclectic jewellery box, and the 1920s aesthetic that inspired the recently refreshed Baja collection. The owner of an arts and antiques business, Monica's mother, Teresa Azpilicueta, has a cultivated taste and sense of style that has deeply influenced her daughter's design intuition. 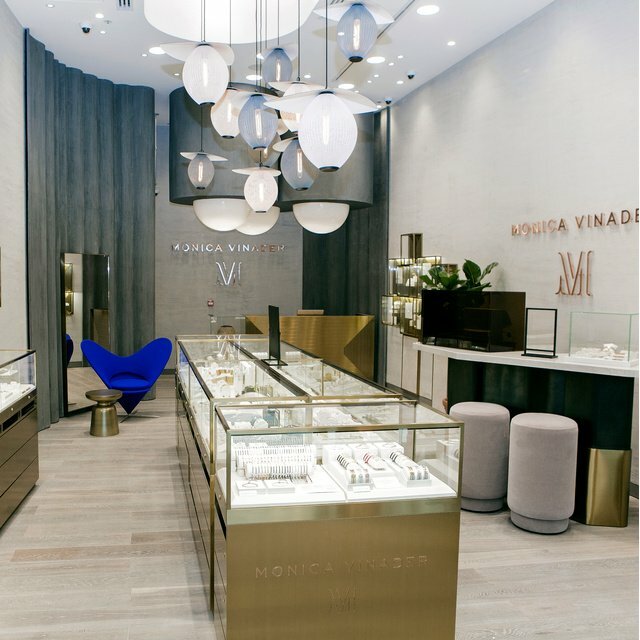 Monica's childhood in Spain was frequently punctuated by trips to England along with her parents, where they sought out unique objects and furniture for their showroom. Teresa's role as a working mother with a passion for her vocation was inspirational. 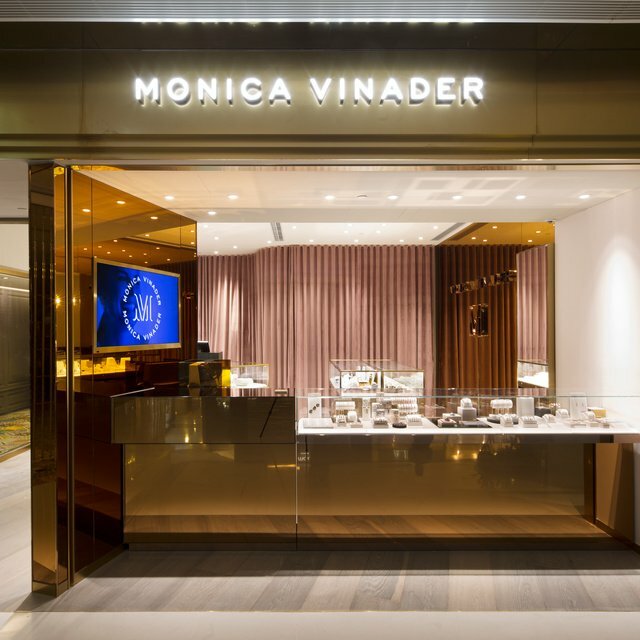 Her generous attitude towards jewellery also had profound effect on Monica's outlook, shaping her mantra of creating accessible, instantly wearable designs. 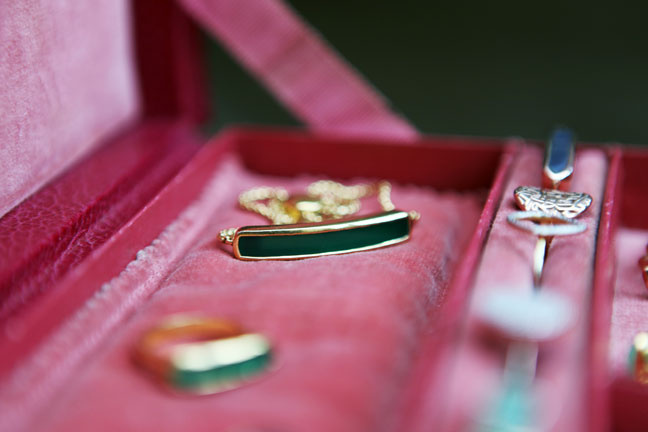 As a child, Monica would dive into her mother's dressing table, exploring a fascinating mix of costume and fine jewellery, all of which she was free to play with and try on. 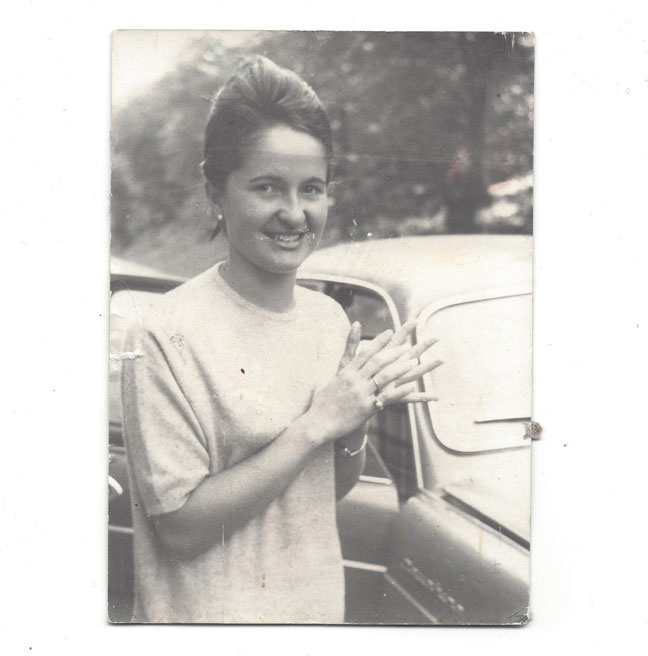 Monica was entrusted with wearing these vintage finds from a young age and though many of the pieces were precious, her mother was never precious herself, encouraging the jewellery to be seen, touched and enjoyed. 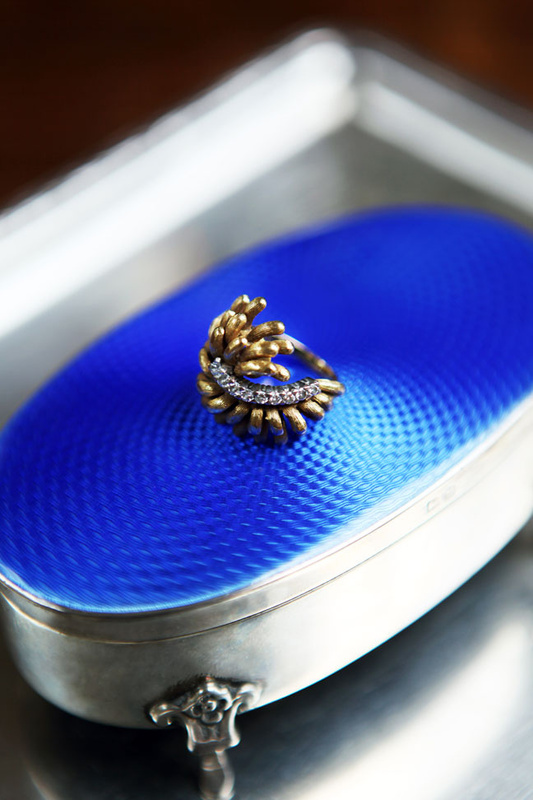 A striking 1940s ring, pictured here on top of a cobalt blue, enamel silver box. Teresa discovered this ring at an auction and gifted it to Monica when she was in her twenties. Gift giving happens at random in Monica’s family, with Teresa preferring to surprise her loved ones with unique treasures as she discovers them, rather than saving them away for special occasions. The leaves of this beautiful ring wrap snugly around the finger. 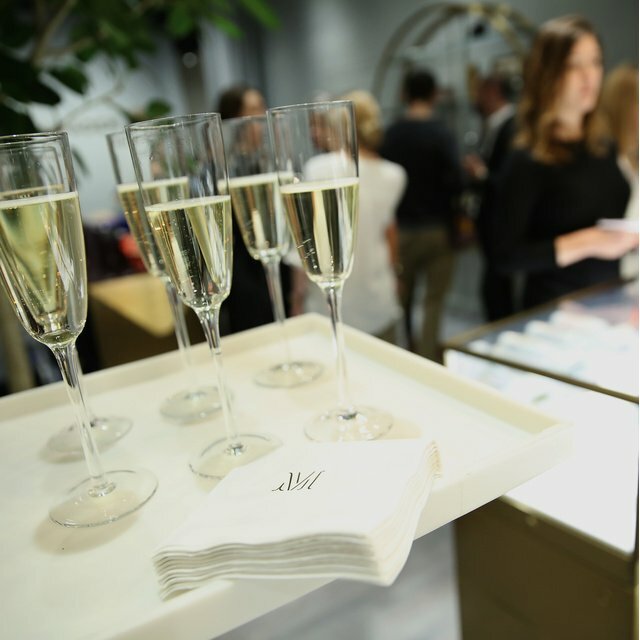 Monica wears it on her pinky for a relaxed touch of glamour. 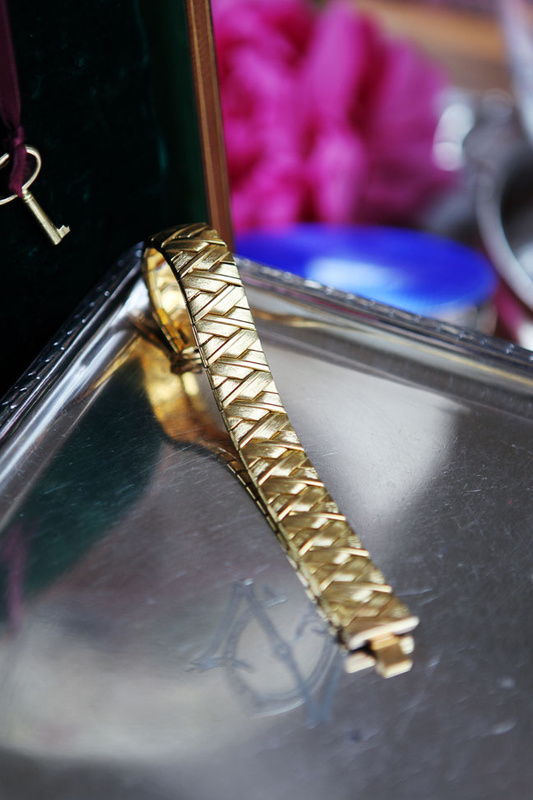 This chic 1960s Italian gold bracelet was handed down to Monica by her mother. Teresa built up an impressive collection of jewellery from the ‘40s, ‘50s and ‘60s and this is one of many fabulous pieces that capture the style and glamour of those era-defining decades. This pendant was designed in the 1920s by the fashion house Henry a la Pensee in Paris. 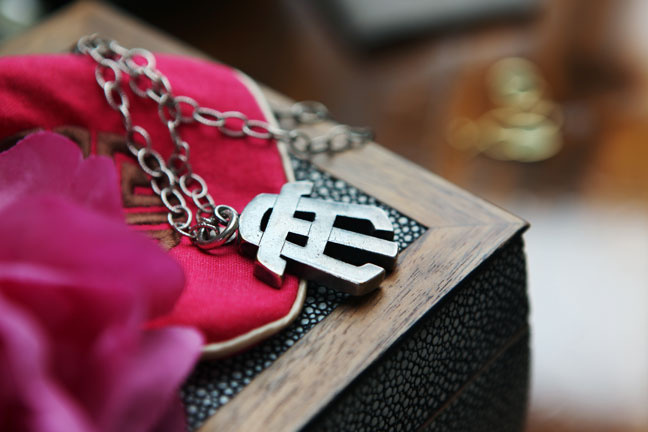 It was especially made for Monica’s maternal grandmother, displaying her initials, T.A, which incidentally match those of Teresa, who inherited the piece and wore it herself. The pendant now sits in Monica’s jewellery box and she wears it on a long chain. The piece has tarnished over time, adding to its unique character. Monica avoids polishing the silver to keep the patina intact and extend the life of this charming heirloom. This bracelet is one of Monica’s own designs from the Art Deco inspired Baja collection. Her mother’s 1920s jewellery marked the beginning of Monica’s fascination with this period. The clean lines and symmetry are all typical of the era. Worn stacked together, these pieces feel effortlessly cool and contemporary. The Baja collection constantly evolves and is taken in a fresh direction with new stones and finishes, all with the same architectural feel. 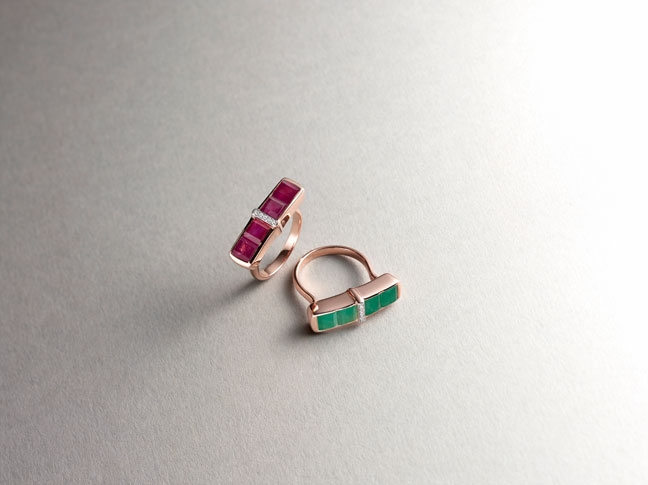 Baja Precious rings in exquisite ruby and emerald capture the sophistication and exuberance of the 1920s and ‘30s. To discover the designs inspired by Teresa's jewellery, shop the Baja and Baja Precious collections.